BRIGHTON, Mich.- Shelby American brought its innovative and hot-rodder spirit to the Detroit Auto Show this year. 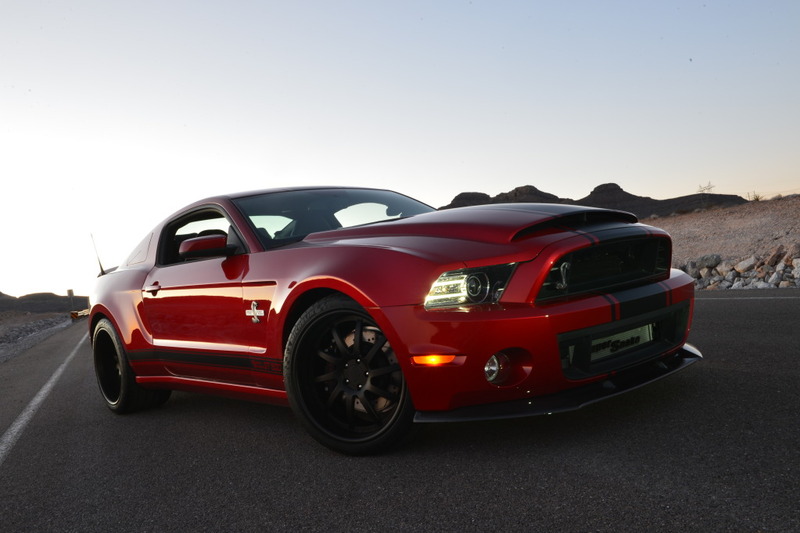 On Tuesday, January 15, 2013, the company revealed impressive new 2013 Shelby GT500 Super Snake Wide Body. Shelby's new Wide Body was based on the kit designed for the commemorative GT500 Cobra built for founder, Carroll Shelby. Previewed on the GT500 Super Snake, the new wide body kit was built to fit any Ford Mustang model as far back as 2005. The new wide body kit featured on the 2013 Shelby GT500 Super Snake Wide Body, officially named “Wide Body Street Edition,” shows wider front and rear fenders that have the capability to accomodate rear tires up to 13 inches wide. This extra width will provide the vehicle with the extra traction that it will need to harness the Super Snake′s boosted, street-legal, 850 horsepower! Notably, the 2013 Shelby GT500 Super Snake Wide Body remains 50 state emissions legal and tuned on 91 octane pump gas, even with the impressive boost in power! All you have to do is take your pick between satin black, gloss white, silver, blue, or red stripes, and you can take advantage of the new wheel options: rear-only, or front and rear “wide body” packages. To get your current Ford performance fix, check out our Ford Mustang Inventory and don't forget that we can help you get a great deal on impressive power with our Ford Mustang Rebates, A Plan Pricing, and X Plan Pricing.